This is the quiet upper portion of the road that I grew up on. The narrow street only gets traffic from hikers that are heading up to the multiple trailheads that dot the roadside. The leaves quietly drifted down as I sat there and listened to the silence. quiet is good for the mind. Beautiful. You were lucky to grow up there. What a great place for a quiet stroll. 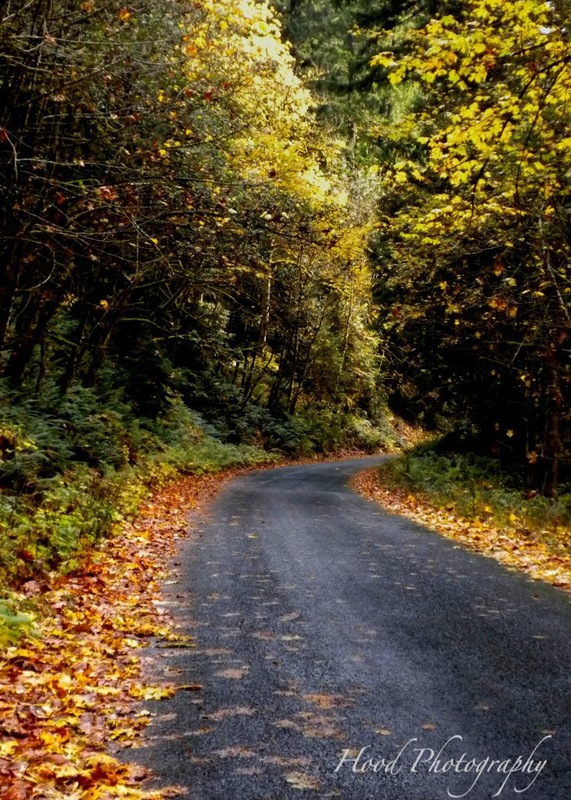 What a lovely photo, beckoning viewers to explore past the bend in the road. How I would have loved to have grown up somewhere so quiet and beautiful. A great letter Q - thank you. How beautiful...I did Quiet today, too, but from a different perspective. I like to walk alone this quiet road too. Sigh - how very lovely!